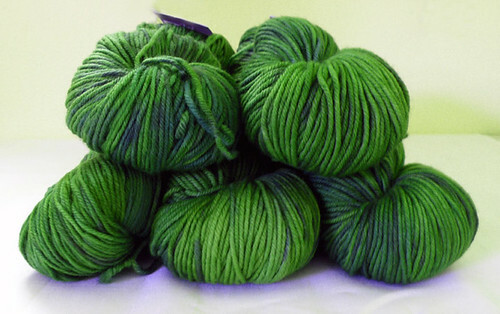 For those that don’t know, The Loopy Ewe is a FANTASTIC online yarn shop. Once you place six orders with them, you become a Loopy Groupie. My sixth order arrived today, and I can’t believe the goodies they sent along! 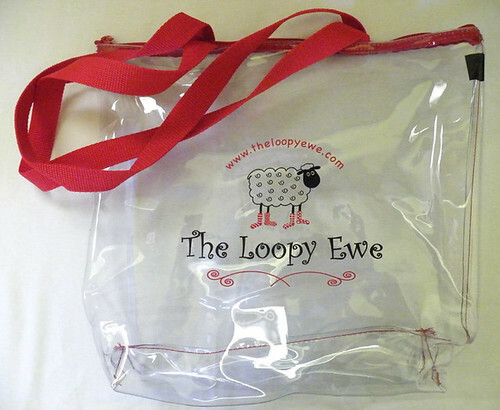 A Loopy Ewe tote bag. 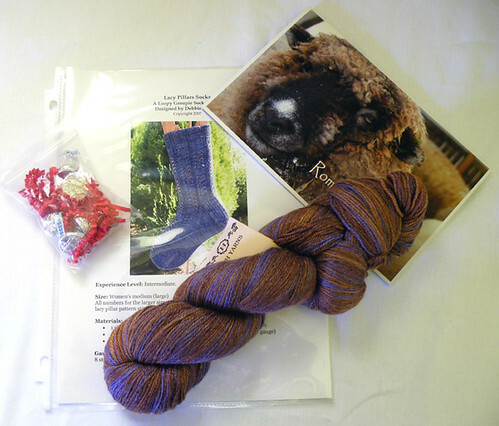 Hershey’s Kisses, a sheep calendar, a pattern for Lacy Pillars socks, and a skein of All Things Heather Merino/Bamboo/Nylon sock yarn in Rusty Grapes. Isn’t is pretty? How’d they know brown and purple is my favorite color combination? Dream in Color Classy in Happy Forest. Enough for another Dream in Color Shrug and Hey, Teach. 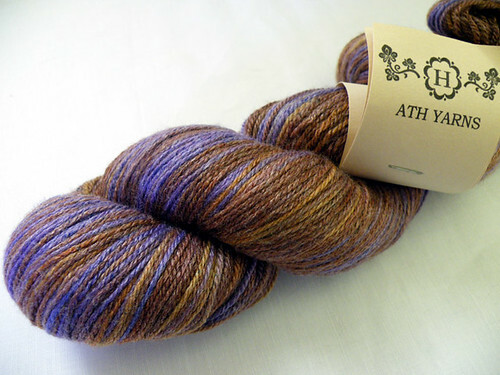 That Happy Forest colorway is teh sexeh. I’m so in love with that shade of green right now 🙂 Jealous! Happy Forest is such a beautiful color!